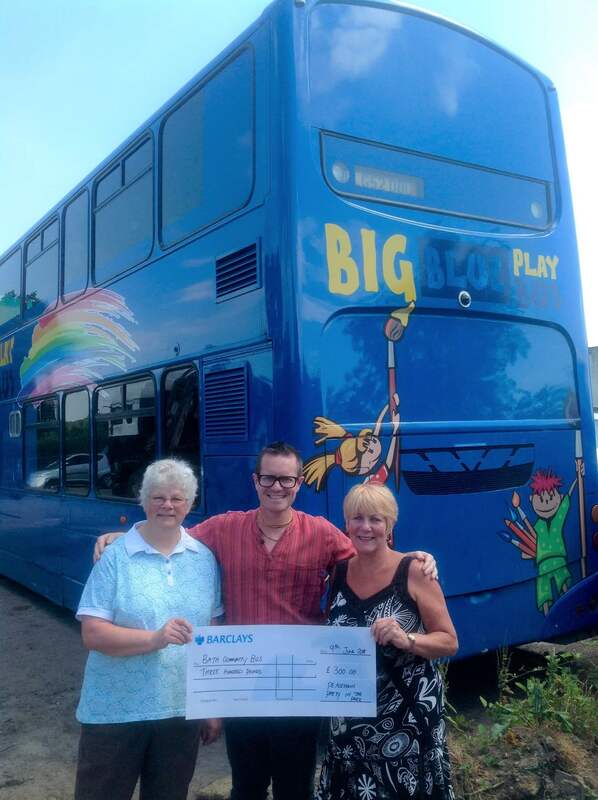 A popular community initiative that sees a Big Blue Bus visiting rural areas has received a funding boost, thanks to the Peasedown Party in the Park Grant Fund. The Community Bus, which has been supporting children and families since 1991, visits Peasedown St John once a week, providing a safe and stimulating play environment for young children who do not have access to other play facilities. It also provides a friendly meeting place for adults to share ideas and concerns. The Peasedown Party in the Park Grant Fund was set up in 2010 to support local projects and initiatives that struggle to get funding from elsewhere. Over the past 8 years, more than £13,000 has been given out to a variety of groups across Peasedown St John. Next year’s Grant Fund will open in March 2019. The Bus runs family sessions in term-times and playschemes for 5 – 12 year olds in the holidays. In 2016/17 they worked with 3,673 people in 9 different locations. 254 sessions were held. 412 children were registered for playschemes. The Bus is based in in Beacon Hall car park in Peasedown St John on Monday afternoons, from 1pm – 3pm.